Working with advertising innovator Federated Media, Cisco succeeded in getting a bunch of opinion leaders to contribute to a wiki to define the "human network." This approach is an excellent way to build influencer recommendation for your company. What's more, I really like the way this idea can "scale." You can do it with a few friends or a large audience. Newspapers would seem to be an ideal place for social media to develop, as John Ellis says below. We do already have some papers that focus on personal ads. My own hometown newspaper, the Houston Chronicle, is leading-edge in its support of bloggers. However, the ability to developing "followings" for local organizations and companies at newspaper sites would seem to be an unhatched opportunity. We're only beginning to understand the power of aggregating product reviews. This trend started on independent web sites, and I did not expect retailers to embrace it the way Amazon has, but they certainly do now. Apparently, it is just a natural outgrowth of standing next to someone in a check-out line, seeing her holding a product, and asking her if it works. To market the Aveo to advertising-avoiding college students, Chevy launched a contest calculated to create evangelists. Teams from several campuses were invited to compete for a new car by taking one to live in for a few days and seeing which team could get the biggest online following of friends. A blog site was supplied but they were also encouraged to use MySpace and any other social media to promote their team activities. The contest is over now, but judging for the entries, a good time was had by all. ...Khatiwoda, 20, is pairing up with a college friend, Keriann Zolman, a 21-year-old pre-law student, in hopes of winning their own wheels....The MSU students, both from Madison Heights, plan to park their Aveo near a downtown bar in East Lansing and pump up the car's sound system as loudly as municipal ordinances allow for an outdoor Halloween party...."We're just going to make people come to us," Khatiwoda said. Is that a Live Salesperson in my IBM Ad? This IBM banner ad has to be seen to be really understood, but it creates an effect like a "window" into the contact center where a live rep is hanging out and ready to talk to someone (in Danish). I don't think it's actually real-time video, but the voice and text messaging absolutely are. I just hope they always remember to match the gender of the real salesperson with the gender of the person in the video clip. The newfangled ads are the invention of Avivocom, which uses a combination of video, VoIP and text chat to let its enterprise clients converse with online prospects....IBM believes the ad unit helps it be accessible to the SMB community, which tends to think of the company as monolithic and aloof. "We put a face to the marketplace," said Ed Abrams, VP of integrated marketing communications for IBM Americas. Desire to create a "cool" product leads many marketers to "urban youth," where they hope to capture the loyalty of this trend-setting audience. Looking over recent successes and failures in marketing to urban youth in the U.K., James Curtis of BrandRepublic notes that marketers need to accept the diversity and frequent poverty of this market's members and meet them on their own terms. You can't join a poker game without a stake, and you can't play in this sophisticated market unless you contribute. 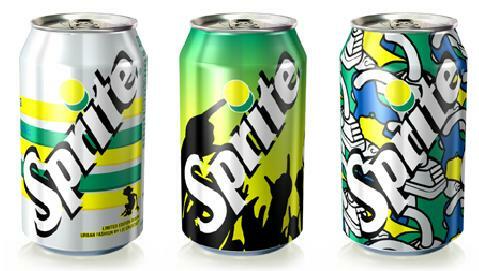 Sprite U.K. has experienced some success in this market by sponsoring Urban Games and inviting grafitti artists to contribute artwork for cans, which are then sold at the regular price, but as limited editions. Cingular understand how to participate in the new social networks. Too many companies just want to post a profile and try to attract "friends." Cingular is bringing more benefit to the rest of the network by sponsoring a search for an emerging, unsigned band who will get an appearance on "Good Morning America" along with other forms of support. Over 2,000 video clips were submitted.